Happiest of happy giftaway #Giveaway Friday’s - you are in for a treat. Over the past year we have collected a stash of goodies from some of our cult favorites. Instead of being holiday hoarders (though tempting) we are gifting it all away… to two of you ! Find the detailed product lists below. After gawking at all of the beauty goodness, skip down for the instructions to enter. Yes this is a whopping $1,680.37 worth of product… Happy Holidays! 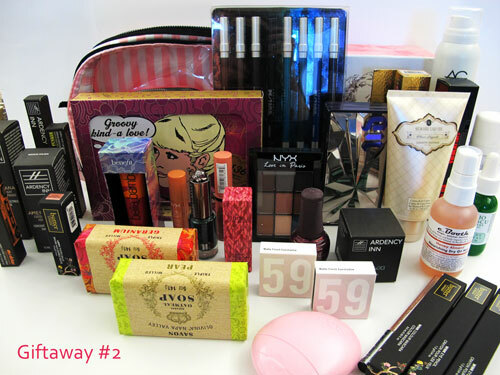 To enter to win one of these two giftaways follow the simple instructions below. Best wishes to you all! 2. Leave a DISQUIS comment below [click through if you are reading this post in your Tumblr feed] and tell me EITHER the holiday song you can’t stop listening to on repeat OR the holiday movie you’ve seen 50 times and counting, or both if you’d like. For this girl - Mariah and Love, Actually. Done and done. NOTE: Please don’t comment in the ‘Ask Me Anything’ or ‘Fan Note’ area of Tumblr. If you do we will not see your comment and not be able to enter you into the contest! — Please everyone click through and leave a comment on Cult of Pretty itself. Contest ends next Friday December 27th at 11:59PM. 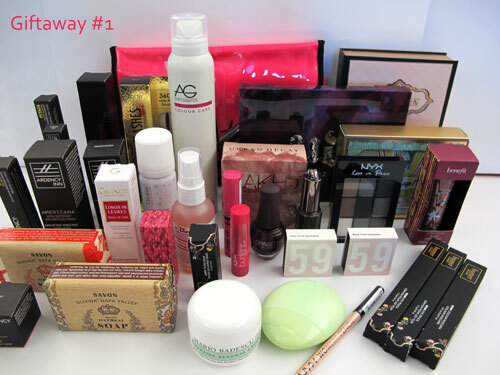 NOTE: If you subscribe or follow to enter, you must still be subscribed or following at the time of the drawing to win. Multiple comments do not increase your chances of winning.